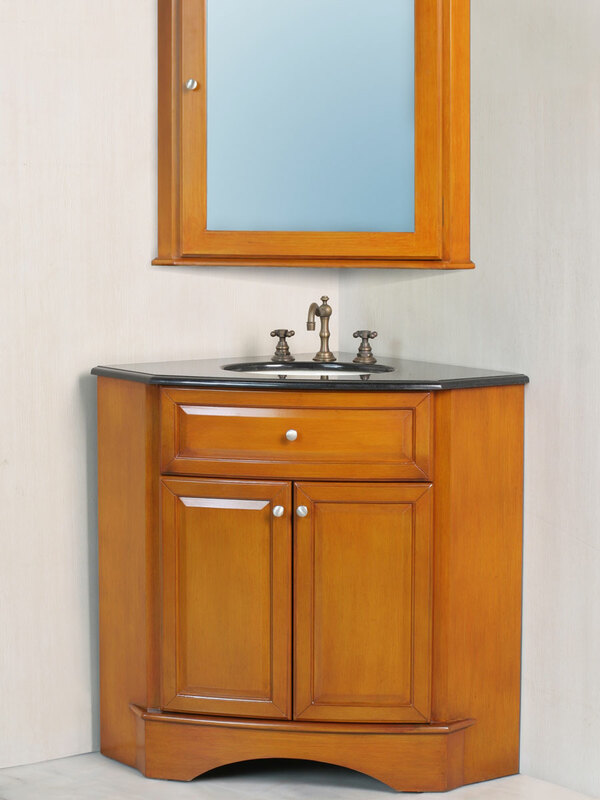 If you have limited space, but need a stylish sink, then the 28" Marcia Single Bath Vanity will surely be the perfect fit. Its angular shape makes it easily at home in any space, even if it is limited - try it in a corner and watch how attractive the entire area becomes! 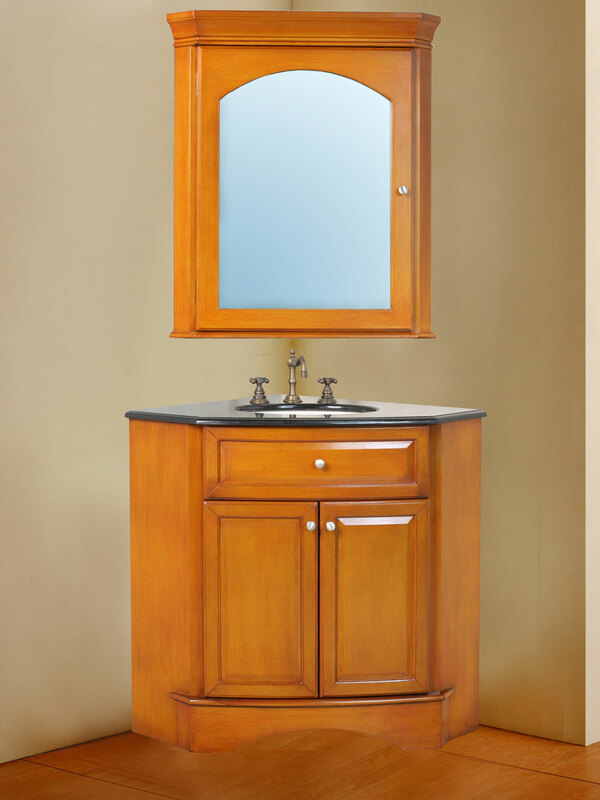 The gorgeous natural wood finish gives it a bright, attractive look that is complemented by the charming golden metallic handles on the cabinet doors. 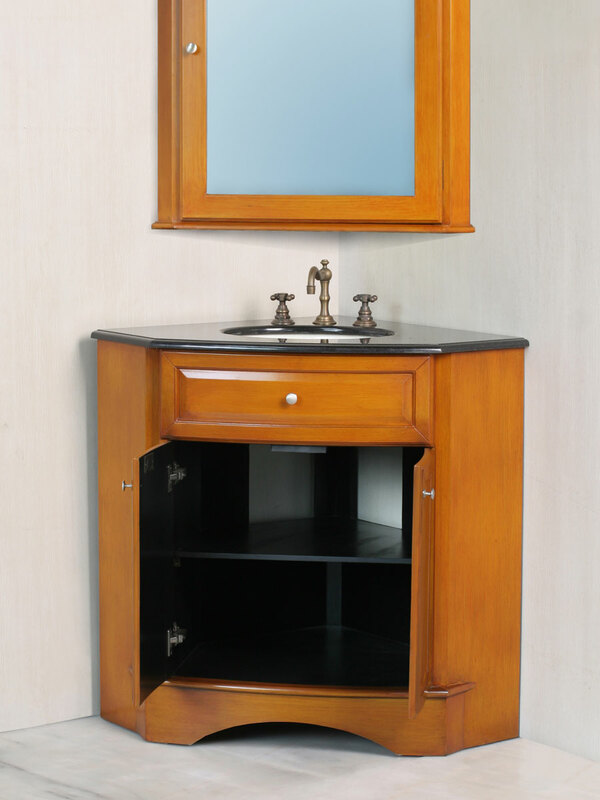 Each door opens separately, revealing a storage space that also includes a shelf. 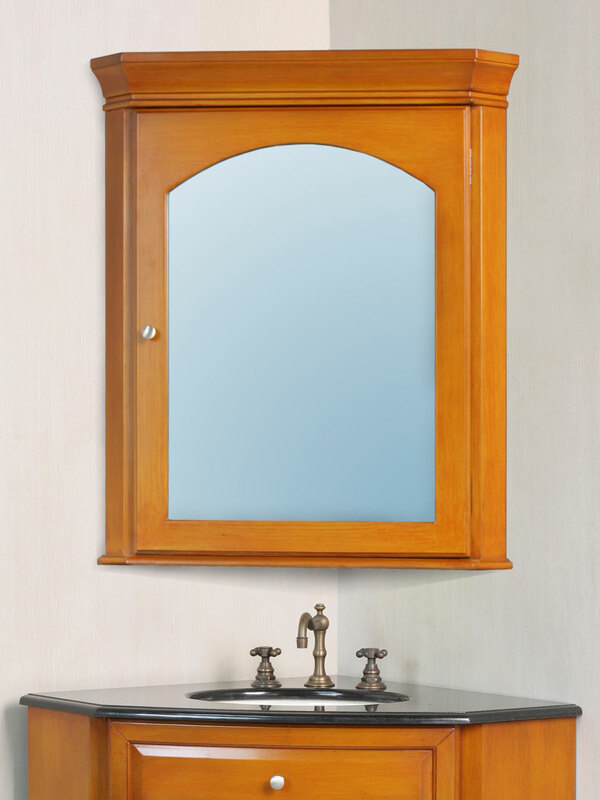 The matching mirror features the same great finish, with a matching golden knob accent.